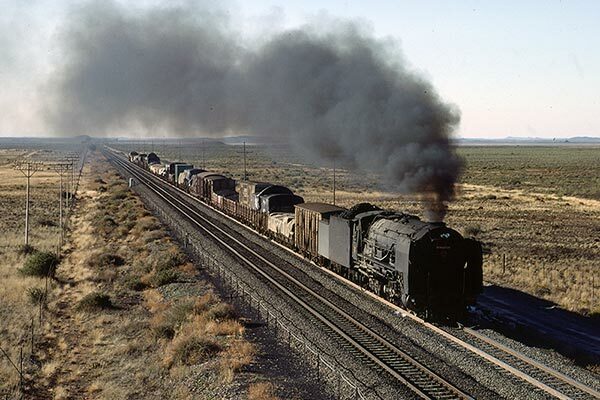 Caption - South African Railways (SAR) class 25 4-8-4 "Jennifer" has just had its fires cleaned at Orange River and is approaching Kraankuil with a southbound freight from Kimberley to De Aar. This freight had been looped at Orange River for the Orange Express to overtake. Date of image - August 1982.